Some Veterans Don't Want "Thank You"
It’s hard to assess how widespread such ideas are among the men and women of today’s generation. So, rather than try to sum up what invariably are many views on the subject, I’ll relate more of Mr. Garth’s story. He grew up in Florida, son of a Vietnam vet, grandson of a decorated World War II vet, himself a bit of a class clown who drank his way out of college and wound up working the docks. The Marines offered a chance to make something of himself and, despite his parents’ pleadings otherwise, to fight. He and seven other Marines were huddled in a mud hut, their only refuge after they walked into an ambush in Trek Nawa, a Taliban stronghold in Afghanistan. “I’m going to die here with my best friends,” he recalled thinking. I didn’t know any of this — nor the remarkable story of his survival that day — when I met him two months ago in Colorado while reporting for an article about the marijuana industry, for which Mr. Garth and his company provide security. But I did know he was a vet and so I did what seemed natural: I thanked him for his service. "I want him to be closer to me," said James, who plans to retire in Maryland. "And to me, Arlington is the ultimate cemetery. My dad was so proud of his service. That's all he talked about. He did four years, and you'd think he did 30. He loved the Marines." A few years ago during a visit with her father, a Marine Corps veteran, in St. Louis, Army Sgt. 1st Class Yvette James asked about his burial wishes when that time came. "I said, 'I'm your only child. What do you want me to do?' " she recalled. "He went to his room, got a folder, pulled out a copy of his DD 214, and said, 'All I want is to be buried with military honors.' " But James, who is stationed hundreds of miles away at Aberdeen Proving Ground, Maryland, found herself plunged into an intense month-long family battle when her father, Clinton Brownlee, died Jan. 25. 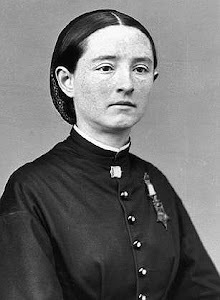 James contends she was wrongly excluded from the burial planning largely due to her military service, even though under Missouri law she has the right to make those decisions as Brownlee's primary next of kin and only child. A funeral home had allowed James' cousin to make arrangements for the service and burial — even after James had faxed the home a letter expressly denying permission for her cousin to do so. Stop being comfortably numb and start healing! You can get better. You are not trapped as you are today and yes, tomorrow can be better than today. PTSD is caused by something that happened to you, not something wrong with you. You just feel things more deeply and got hit harder. While there is no cure for PTSD, that doesn't mean you are stuck suffering the way you are right now. You can change again and live a better quality of life. I've seen the worst of what PTSD can do but on the flip side, I've seen the best veterans can do and usually it has been about doing something for others. Amazing how that works! Sarah Palin Needs Military History Lesson, Quick! This generation? Is she kidding? Palin repeated the same old line of this generation being different from others. ALL OF THEM SERVED AND ALL OF THEM WERE NOT TAKEN CARE OF. 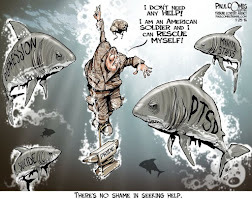 Among the number of those committing suicide as Palin stated to be "23" they are not even close but the majority of those veterans are over 50 Gulf War veterans, Vietnam veterans who pushed for everything done on PTSD, and Korean veterans as well as WWII veterans. Palin also didn't even bother to mention that the Congress is responsible for passing laws, rules and funding the VA along with holding people accountable. Yep, ain't happened in generations. Sounds like a painful speech Palin should have had Tina Fey read. Wouldn't have been a lot less draining on the ears. Oh by the way, the front of the line has been older veterans waiting even longer for everything she talked about for the newer generation. Sarah Palin forgot that "he who sent them" was George Bush and he didn't have plans or any intention of getting the VA ready for the growing needs of our veterans. Again, history can't be changed and we know what the history of congress is when it comes to our veterans. Palin also said that Afghanistan is the longest war. Not true either. But the official start of the U.S. military involvement in Vietnam, set by the Defense Department in 1998, is Nov. 1, 1955, when the Military Assistance and Advisory Group was established in Saigon. 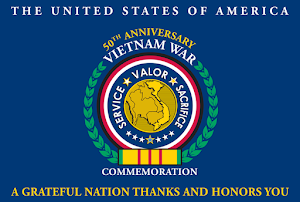 The official end of the Vietnam War for the Department of Veterans Affairs’ purposes is May 7, 1975. Matching that with the DoD start date would make the Vietnam War 19 years, six months long. 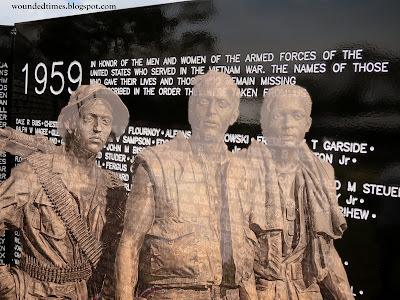 Others list Gary L. Hall, Joseph N. Hargrove and Danny G. Marshall as the last to die in Vietnam. These three US Marines Corps veterans were mistakenly left behind on Koh Tang Island during the Mayaguez incident. They were last seen together but unfortunately to date, their fate is unknown. They are located on panel 1W, lines 130 - 131. Congress has had since 1946 to get the veterans in this country taken care of so the sum of all these years is, as many veterans claim, "delay, deny and wait til they die" and politicians just keep making speeches like the one Sarah Palin made. There also were “significant limitations” in using death certificates, researchers noted. This is mainly due to the inclusion of people who were incorrectly identified as veterans on death certificates. An updated report with data from at least 44 states is scheduled to be released this summer. The VA, CDC and Department of Defense also are working on a larger study that is expected to be the most comprehensive review of veteran suicides rates and trends. While researchers and advocates need to know as much information as possible many things stand out and honestly, freak us out! First, they will never really know the true count. Too many variables. Was it an accidental overdose or on purpose? Was it a true single vehicle accident or on purpose? Was the individual a member of the military or just a claim made on the form or omitted from it? One more factor we don't talk about is that PTSD comes with a huge array of health issue from heart failure due to the stress associated with it and an ever growing list of illnesses set of by PTSD. Ok, so not one more, add in TBI. Some still haven't figured out the two are not the same. PTSD strikes after the event caused shock and TBI happens during it when the bombs blow up and a brain is mushed around in a scull. Some suicides should be tied to TBI as well. Whatever the finding, the conclusion is, there are far more suicides now when more is being done and that is inexcusable, but what makes all this worse is, no one really mentions that nothing about what combat does is new. These are the numbers of Vietnam veterans who committed suicide when no one was paying attention. 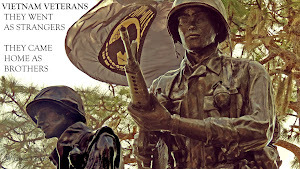 According to a study by Tim A. Bullman and Han K. Yang in the Federal Practitioner 12 (3) : 9-13 (March 1995), “…no more than 20,000 Vietnam Veterans died of suicide from the time of discharge through the end of 1993″. However there are others that claim that many more veterans have died of suicide since the Vietnam War. 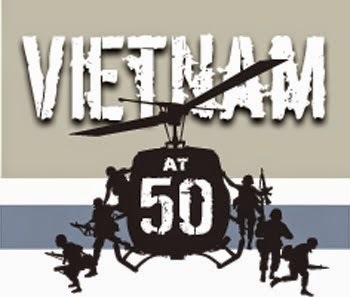 In Chuck Deans’ book, Nam Vet., printed in 1990 by Multnomah Press, Portland, Oregon, 97226, the author states that “Fifty-eight thousand plus died in the Vietnam War. 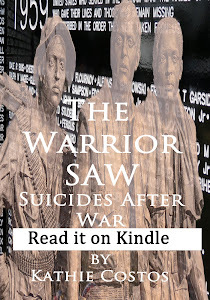 Over 150,000 have committed suicide since the war ended.” According to this book, Chuck Dean is a Vietnam Veteran who served in the 173rd Airborne, arriving in Vietnam in 1965. 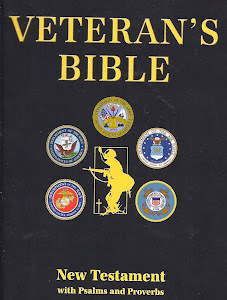 At the time the book was written, Mr. Dean was the executive director of Point Man International, a Seattle based, non-profit support organization dedicated to healing the war wounds of Vietnam Veterans. But hey why bother remembering Vietnam veterans? After all, they are the ones who pushed for all the research into what was happening to them, just like all generations before them and they knew, for sure, all generations coming after them. MOH for Kyle "See it as a political posturing"
A Texas congressman introduced legislation on Thursday to get “American Sniper” Chris Kyle the Medal of Honor posthumously for service in Iraq. As Checkpoint already explored, it’s highly unlikely it will happen. 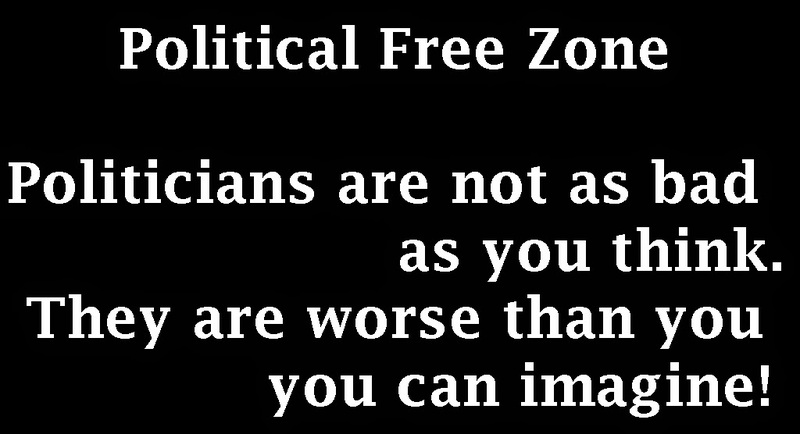 But the effort is also under fire from some who have served and see it as a political posturing. The military blog This Ain’t Hell weighed in on the subject Friday. Army veteran Jonn Lilyea wrote that while he defends Kyle’s legacy in combat, the Navy SEAL has never been considered by the Navy for the nation’s top award recognizing combat valor. Williams introduced the legislation two days after Marine veteran Eddie Ray Routh was convicted of murdering Kyle and his friend, Chad Littlefield, on Feb. 2, 2013 at a gun range in Texas. While the Washington Post didn't think the Representative's name was important, This Ain't Hell did. “Chris gave the ultimate sacrifice and served his nation with distinction and bravery while saving countless American lives,” Williams said in a statement obtained by NBC News. “There is no doubt that this true American hero is worthy of our nation’s highest military honor." For a second there I thought they were talking about Brian Williams. Honoring Kyle's service is one thing, but this is what the Medal of Honor stands for along with the Distinguished Service Cross and the Navy Cross, which can also be found on the link. And there is a process after that. Welcome Home at the New Orlando VA Medical Center, Lake Nona! Sat. Feb. 28 - The Orlando VA Medical Center presents its 2015 Welcome Home and Cruisin' Event, at the new Lake Nona VA Hospital and Clinic, 13800 Veterans Way, Orlando, FL 32827. Make plans to attend on Sat. Feb. 28, from 10 am to 2 pm. The event will host Employers & VA Resources; a display of vintage cars, Motorcycles & Trucks; Tours of the New VA Hospital & Clinic; Raffle Prizes; Fun for the Entire Family. "Among the 43 rating-related claims, 1 claim was 20 years old, but the date of claim had been adjusted to make the claim appear 14 days old," the report stated. LITTLE ROCK (KATV) - Data manipulation has been discovered at the Veterans Affairs Little Rock Regional Office, according to a report. One claim that was 20 years old, was changed to appear it was only 14 days old. The Office of the Inspector General for the Department of Veterans Affairs released a report Thursday saying their office had substantiated an anonymous allegation that the staff at the VARO in Little Rock manipulated data on veterans' benefit claims. "The complainant alleged that adjusting the dates of claims was done to give the appearance that VBA was making more progress than it actually had in eliminating its backlog of disability claims," the report stated. The report found the staff did so in compliance with the VBA Fast Letter, known as FL 13-10, in effect at that time. However, the letter was suspended on June 27, 2014, by the Under Secretary for Benefits after the Office of Inspector General determined staff were misapplying the guidance at another VARO. The VBA did not take action to terminate FL 13-10 until January 22, 2015. 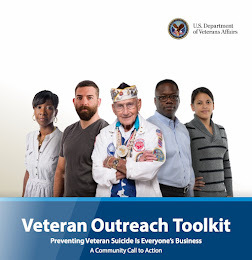 "This guidance applied to 48 cases that maybe we overlooked something in the past and when we discovered it, we immediately took care of it," said Lisa Breun, Director of the Little Rock VA Regional Office. The Office of Inspector General reviewed 48 cases, most of which were rating-related and involved if a veteran would get disability or not. According to the report, an average of 1 year and 8 months elapsed between the date the VA received the claim, until the staff discovered the claim. Marine Gets His Dying Wish The Oklahoma City V-A along with several veterans’ organizations came together to not only honor his final wish but also to pay his funeral expenses and give him an honor guard. 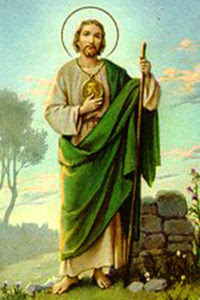 “That he was ready to go and that he was at peace and it was O.K. and he said ‘I don’t want you guys to be sad I want you guys to keep going and keep helping people’,” said Cleary. 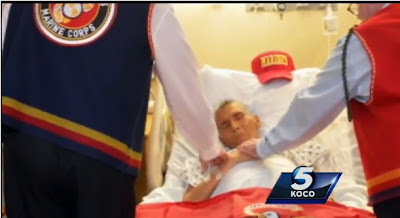 OKLAHOMA CITY —A dying Marine had one final wish. He wanted to be buried in uniform, along with a Marine Corps flag. Donnie Loneman loved being a Marine. He was recently diagnosed with terminal cancer. Doctors gave him three weeks to live. Just from a young age, he stepped up.” That gusto is likely why Manning stood up to four teens who tried to rob him just steps from his modest apartment on E. 52nd St. near Winthrop St. in East Flatbush around 8:45 p.m. Sunday, family said. When Manning resisted, one of the teens opened fire, fatally striking him in the chest, cops said. Photo Credit: Spc. Rashene Mincy Sgt. 1st Class Anthony Harris, platoon sergeant for 2nd Platoon, Division Signal Company, takes charge of the formation from Maj. Gen. Gary Volesky, commanding general of the Joint Forces Command - United Assistance and 101st Airborne Division (Air Assault), at the end of the 101st's color casing ceremony held at the Barclay Training Center, Monrovia, Liberia, Feb. 26, 2015. "The Joint Forces Command worked with our Armed Forces of Liberia partners in building and overseeing constructions of ETUs," Volseky said. The command built and supported 17 ETUs throughout Liberia, facilities which allowed for a more swift isolation and treatment of Ebola patients. Building the ETUs was Task Force Rugged, a team led by the 36th Engineer Brigade based out of Fort Hood, Texas, along with the 615th Engineer Company (Horizontal), based out of Fort Carson, Colorado. The 902nd Engineer Battalion, out of Grafenwoehr, Germany, and the 161st engineer Support Company of Fort Bragg, North Carolina, also built the facilities. Along with construction, Task Force Rugged also improved roads critical to the transportation of equipment and personnel to the ETUs, camps and logistical focus points including airports and sea ports. The Iron Knights cased their colors Feb. 25, and are steadily redeploying their Soldiers back to Fort Bliss. Out of Tulsa there is a great report on veterans going from combat to college. Upon returning from duty in Iraq, Travis Bramblett needed to change directions. He enrolled in courses at Tulsa Community College, but post traumatic stress disorder from his time in a war zone caused such anxiety that he came close to giving up. The center was established in 1976, where it served five students at TCC’s downtown campus. I go all over Central Florida for veterans events. 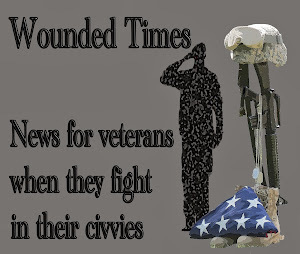 There is always something going on for veterans in this state however, there is something going on that isn't good for veterans. Why weren't we ready for them? Cape Coral veterans support group offered peer support but the VA wanted to break them up. No doubt the 10 men who were booted out of the Veterans Administration Healthcare Center in Cape Coral were treated shabbily. These guys are combat veterans who fought in Korea, Vietnam, Iraq and Afghanistan. They all suffer from post-traumatic stress disorder or PTSD, a mental disorder that can develops following a terrifying events like those that happen in war. 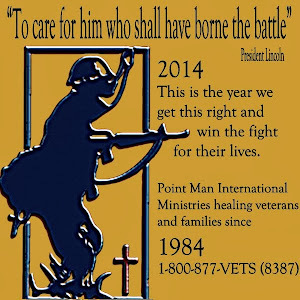 Every Friday for the past 18 months the men have held their support group at the VA Clinic offices. And they wanted to continue those meetings there with their current group leaders. The VA has a different idea. It wants one of two peer specialists, employees who are certified mental health professionals, to help run the group; something the members of this PTSD support group have refused to allow. The current group leader is a trained volunteer, Luis Casilla. A 63-year-old Vietnam vet, Casilla is a trained peer specialist with more than a decade of experience. According to the report there were 21 volunteer-led mental health groups in the Bay Pines alone. Nice work taking away something that was working for our veterans. "Veterans commit suicide at double and sometimes triple the rates of civilian suicides, with the rates varying from state to state. 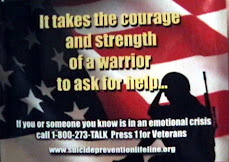 The veteran suicide rate has grown annually at more than double the percentage of the civilian rate." 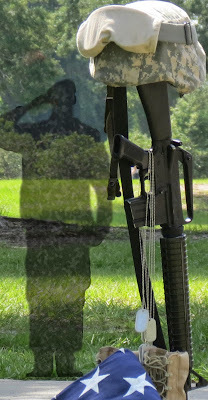 Florida veteran suicides, as far as they know, are one out of four. 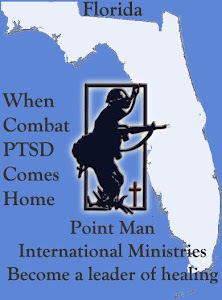 Last year WJCT News reported that Florida had 5,500 homeless veterans, again, that they know of. The Miami Herald reported Florida is having another issue few journalists have been taking about. 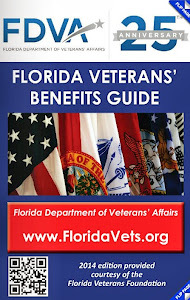 Florida having the fastest growing veterans population at 1.7 million. 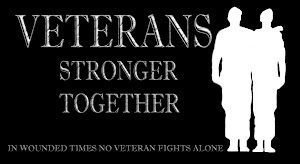 While it is wonderful that motorcycle veterans groups always managed to support each other,it is all about brotherhood for them, the same cannot be said about other groups working on veterans issues. They end up being all about themselves instead of sharing their strengths and learning how to fix their weaknesses. Ranking Member Brown added: “When I first proposed the Jacksonville clinic to Under Secretary of Health, Dr. Jonathan Perlin, in 2006, he promised that a new clinic would be built in Jacksonville’s Northside. Prior to the opening of the clinic, Jacksonville area veterans had to travel to as many as a dozen separate locations to get treated for their service connected disabilities. Yet by working with Shands-Jacksonville Hospital, the University of Florida, and the city of Jacksonville, the VA was able to build a facility that would bring all of these specialties together. The clinic broke ground in 2011 and opened to the public in April of 2013, and because of the large number of underserved veterans in the Jacksonville area, the clinic, ironically, has been a victim of its own success, and is now at full capacity. The Jacksonville Out-Patient Clinic, in fact, is a state of the art health care center. Its roughly 300,000 square feet makes it one of the largest clinics in the country; and it brings under one roof many of the existing services that were previously spread out around the city. Moreover, it adds new services that were not previously available; including primary medical care and mental health care, audiology, optometry, orthopedics, cardiology, dental, dermatology, nutrition, physical therapy, podiatry, pharmacy, dialysis, pain management, otolaryngology, TBI Rehabilitation and 5 new outpatient surgical procedure rooms. Off topic but you hear this kind of thing all the time. If you are looking for help, and feel worse afterwards, you are not asking the right person. This student texted and encouraged suicidal friend to do it. A young woman who says she tried to help a Massachusetts teen before his 2014 suicide now faces manslaughter charges after text messages allegedly revealed that she encouraged him to take his own life. Court documents from New Bedford court outline a deeper look into the death of 18-year-old Conrad Roy, a student from Fairhaven and Mattapoisett. In July of 2014, Fairhaven Police found Roy's body in his car parked behind a store. They believe he committed suicide by means of carbon monoxide poisoning. Now, 18-year-old Michelle Carter of Plainville is facing involuntary manslaughter charges, having been indicted as a youthful offender. 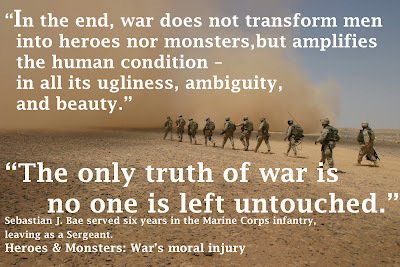 Moral injury, the pain resulting from violating one’s moral foundation, has become the hallmark of today’s veterans. 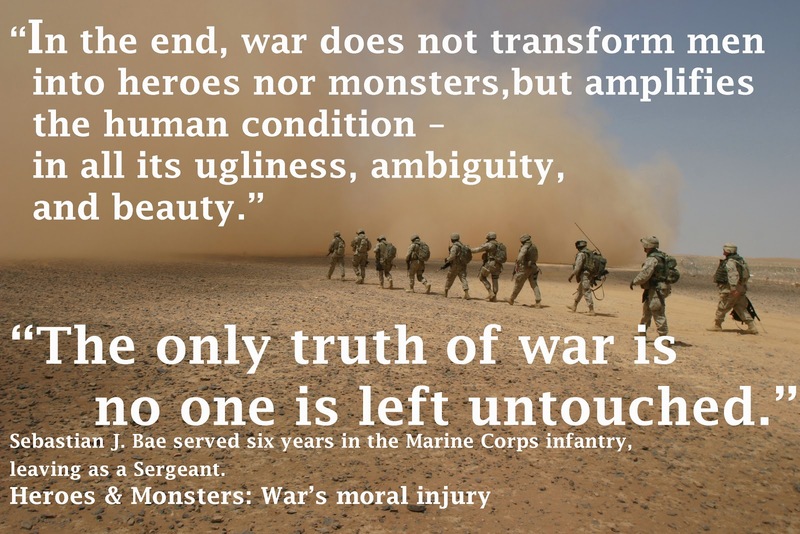 Unlike Post-Traumatic Stress Disorder, moral injury does not stem from fear, but from struggling to reconcile a state of mind occurring in war, where moral clarity is impossible, and the morality society expects of us. To survive, we become someone we no longer recognize, accepting the inconceivable as the price of survival. So, guilt suffocates our voices, hiding stories we cannot share – society does not, or will not, understand. The Ramadi sun was relentless above the din of the bustling city streets. Our convoy struggled through the city’s congested streets. My eyes darted from one face to another, scared and nervous, scanning a city of strangers from my M240 machine gun turret. The afternoon’s patrol was quiet. A rock smacks against the Humvee. In seconds, the child is gone, our convoy rolling past without a shot fired. I have relived this moment a thousand times, in my dreams and in every quiet moment. There are days I regret not pulling the trigger, then there are days I am forever grateful I never did. Yet everyday, I struggle to reconcile the man I was, a Bible study teacher, with the man I had become, a man who almost ventilated a child with a machine gun. A few weeks before, insurgents attacked another convoy with grenades, setting their vehicle aflame. The rock could have easily been a grenade. I could have killed my Marines. I undoubtedly endangered their lives. Yet, I was also spared the gruesome weight of a child’s death. Nevertheless, I find there is no comfort, no right answer. Will American Sniper Trial Feed PTSD Stigma or Will Reporters Do It? 'American Sniper' trial likely to increase stigma of PTSD but this has been brought up by reporters for a long time. No, not just since this trial but for decades. It seems they just keep making statements without noticing they are the ones feeding the stigma instead of helping to end it. "The jury got it right — that helps to some degree to destigmatize PTSD," said Harry Croft, a San Antonio-based psychiatrist who evaluates veterans with post-traumatic stress. "The bad news is: The headlines before the trial was that PTSD will be used as a defense. Unfortunately, that's the message many people will remember." 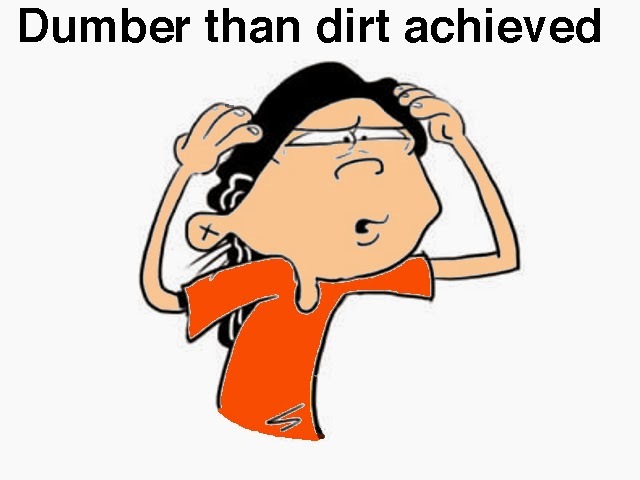 Pathetic! I am so sick and tired of reporters spinning this instead of actually telling folks what is really going on. If veterans think this famous trial will feed the stigma, they need to actually stop reacting and start thinking. When Vietnam veterans came home, like generations before them, combat tagged along for the rest of their lives. 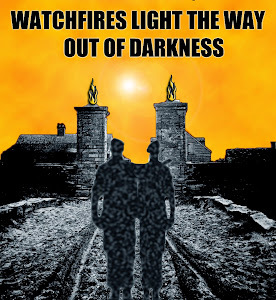 They were not about go quietly into the abyss most folks were ready to help them into. They were called crazy, druggies, along with baby killers plus a lot of other things not fit for publication. They turned around, fought every established veterans service organizations, every politician, every psychiatrists and reporter getting in their way. The battle they fought after they came home managed to save a lot more lives, not just for their own sake but for all generations of veterans and civilians alike. Crisis Intervention Strategies, By Richard James, Burl Gilliland gives credit to where credit is due for what happens when all of us are faced with traumatic events. Support groups and crisis intervention specialists ready to help us right away. (Ok, so I am one of those responders. I was certified in programs from 2008 to 2010 when I took just about every class I could.) These steps were established simply because Vietnam veterans pushed for all the research. Then there are the Veterans centers. Those started in the 70's as well. Vietnam veterans didn't have a choice. They were not welcomed by other veterans. They did it without the internet and Facebook. It wasn't until the Vietnam Memorial Wall was built that they were finally being honored for their service. The Vietnam Veterans Memorial stands as a symbol of America's honor and recognition of the men and women who served and sacrificed their lives in the Vietnam War. Inscribed on the black granite walls are the names of more than 58,000 men and women who gave their lives or remain missing. 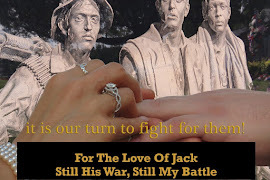 Yet the Memorial itself is dedicated to honor the "courage, sacrifice and devotion to duty and country" of all who answered the call to serve during the longest war in U.S. history. The Vietnam Veteran's Memorial Fund, Inc. is the 501 (c)(3) nonprofit organization authorized by Congress in 1980 to fund and build the Vietnam Veterans Memorial in Washington, D.C. Incorporated on April 27, 1979 by a group of veterans led by Jan C. Scruggs, who was wounded and decorated for service in Vietnam, the organization sought a tangible symbol of recognition from the American people for those who served in the war. If the stigma is still strong then you can thank reporters for feeding it all these years. This came out in 2009. "First, inherently what we do is stressful. Why do I think some people are able to deal with stress differently than others? There are a lot of different factors. Some of it is just personal make-up. Intestinal fortitude. Mental toughness that ensures that people are able to deal with stressful situations. But it also has to do with where you come from. I came from a loving family, one who gave lots of positive reinforcement, who built up psychologically who I was, who I am, what I might want to do. It built confidence in myself, and I believe that enables you to better deal with stress. It enables you to cope more easily than maybe some other people. This pathetic attitude was carried over as the public was finally made aware of what was going on in Warrior Transition Units and those seeking help faced the ultimate betrayal. Guess Odierno didn't remember Ty Carter or the Medal of Honor he had around his neck after he not only showed "intestinal fortitude" in combat but then had to show it even more with his battle to heal PTSD to the point where he went on a mission to have the "D" dropped from the term to help fight the stigma being fed by the military all these years after Vietnam Veterans fought to have it treated. In the battle that earned him the nation's highest military honor, an outpost in Afghanistan's Nuristan Province was surrounded by almost 300 insurgents who opened fire with automatic rifles and rocket-propelled grenades the morning of Oct. 3, 2009. Fifty-three Americans were stationed there; eight were killed in battle, and 25 were wounded, including Carter, who suffered hearing loss, shrapnel injuries and a concussion. Guess he forgot about Dakota Meyer and all the others over all these years coming out also with the Medal of Honor on their necks and trying to save lives proving that having PTSD was nothing to be ashamed of. Guess he forgot about the Generals coming out admitting they struggled with PTSD and speaking up for soldiers with their own battles to heal and prove that it was ok to talk about PTSD. 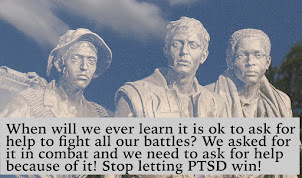 The stigma of PTSD is alive because far too many people want it that way. If everyone understood what it was and how long it has been going on, then they'd all be fighting the right battles toward healing. But hey, why bother to point out that PTSD isn't just about veterans but because of them, civilians have treatment to recover from traumatic events as well? UPDATE Example of Crisis Intervention teams and what they do. Classes for the district's 1,000 students are in session Friday, in part to give them a sense of normalcy, he said. "We do have counselors available, and other offers from other districts to help out. As a small town, we all cry together. My principals are all assessing the situation now, and we will make a determination on what to do next," Dill said. 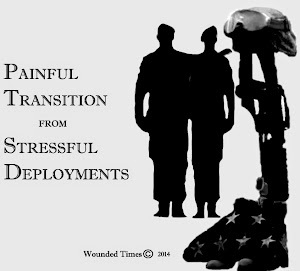 Purple Hearts For Fort Hood Soldiers But What About Longer Lasting Wounds? Finally Fort Hood Soldiers shot by one of their own will received Purple Hearts. It has been a long time coming. CNN reported on this effort from Congress back on November 17, 2009. The bill was introduced by Texas GOP Rep. John Carter, who represents Fort Hood in the House of Representatives. "As far as I'm concerned, this was an attack by an enemy upon American troops on American soil," Carter said Tuesday at a Capitol Hill news conference. The Daily Star out of New York reported this yesterday and was shared by Military Times. 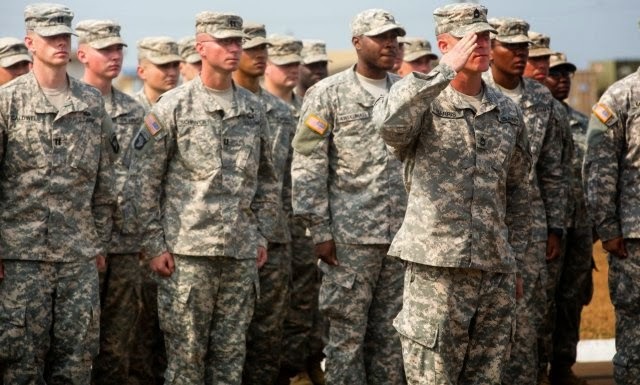 The bill "is about giving soldiers the benefits that other soldiers get when they are unfortunate enough to be killed or wounded in a combat zone." But it was back on domestic soil on Nov. 5, 2009 where he would experience the most dangerous, violent and horrific experience of his military career. It was then that the Texas base from where he was preparing to deploy once again, this time to Afghanistan, became the backdrop for a massacre. "I can remember it like it was yesterday," Cooke, the divorced father of two young sons, said Wednesday when contacted by The Daily Star at his mother's home near Charlotte, N.C. On that day, Cooke had gone to the Soldier Readiness Center at Fort Hood in Killeen, Texas, to deal with matters for his upcoming deployment to Afghanistan. 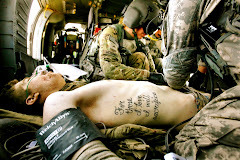 He never made it to Afghanistan, and he almost didn't make it through that day. "Matt doesn't trust people anymore because he was shot by one of his own," said Frappier, whose children include two daughters, Christina and Kimberly, the latter a resident of Oneonta. "When he lay on the floor in that building, so many people ran right past him. In his mind, he is going to be shot again." He was shot by someone he was supposed to trust with his life and as a psychiatrist, in a position where many were supposed to trust him with their mental health. The damage done goes far beyond the bullets and the graves he filled or the number of days the wounded had to face recovering. The aftermath of the Fort Hood massacre is a never ending story of massive failures. No one has reported on how many soldiers were treated by this terrorist. No one has tried to figure out how many of them committed suicide or died because of medications tied to this man who was responsible for their care. No one investigated how many got divorced, how many families broke apart or how many veterans lost their ability to trust anyone at anytime. I was thinking about this most of the day and remembered the spike in suicides after this horrible day at Fort Hood. By September of 2010 Fort Hood reported a record number of suicides with 4 in one weekend. By 2011 suicides at Fort Hood were higher. The Fort Hood mark is a new record for the post and contributed to the Army’s worst year for suicides. There was, however, a sign of hope in the grim tally. 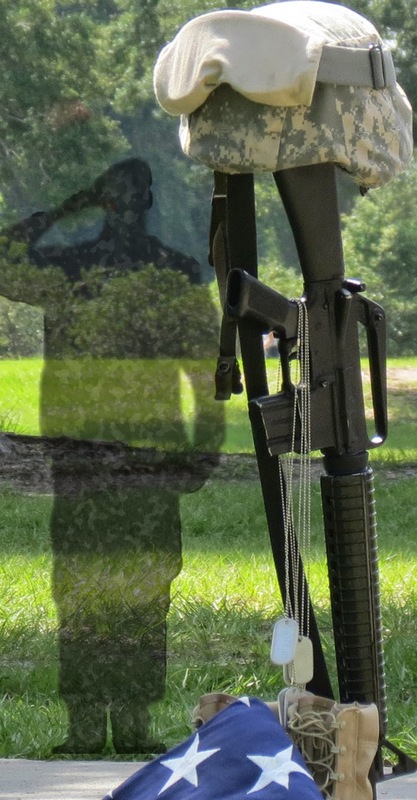 Slightly fewer active-duty soldiers died by their own hand compared with 2009. But there was bad news, too: The number of suicides in the National Guard and Army Reserve rose sharply. But it got worse and in 2013 there was this report, mostly forgotten to the rest of the news coverage. While he was not one of the 13 soldiers who lost their lives or the 32 others who were struck by bullets, Josh Berry struggled through years of pain and suffering caused by the attack before he couldn't handle it anymore, family members said. The Mason native committed suicide on Feb. 13, 2013, a result of years of post-traumatic stress caused by the Fort Hood shooting, according to his father. Howard Berry knew soon after the attack that his son was a changed man. While it would be several years before he had to endure the pain of burying his son, he believes a part of his son died during the attack. Will his family get a Purple Heart in his honor as well? Will any of the others? JACKSONVILLE, Fla. -- A young Jacksonville veteran was killed hundreds of miles away from home over the weekend. Melvin Dallas III, 22, was hit and killed by a tractor trailer late Sunday night. Karan Dallas is Melvin's mother. She says she feels '"empty inside." It's the last word Isaiah could get out when we asked him to describe his older brother. Melvin was in Mississippi for an eye surgery at the Air Force base there, but he never made it to surgery day. 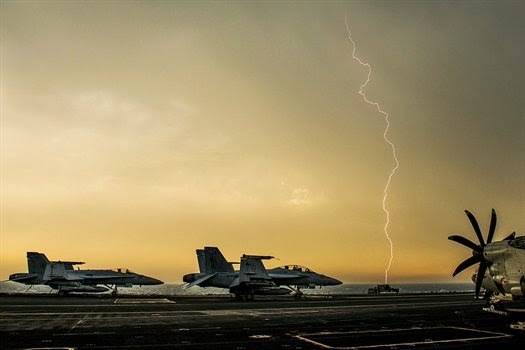 Lightning flashes over the flight deck of the aircraft carrier USS Carl Vinson as the ship transits the Persian Gulf, Feb. 8, 2015. The carrier is deployed in the U.S. 5th Fleet area of responsibility supporting Operation Inherent Resolve. U.S. Navy photo by Petty Officer 2nd Class John Philip Wagner, Jr. Under the president’s fiscal year 2016 budget proposal, the military’s sea services would be able to carry out their worldwide missions, but if sequestration triggers, all bets are off, senior Navy and Marine Corps officials said on Capitol Hill yesterday. Sean Stackley, the assistant secretary of the Navy for research, development and acquisition; Lt. Gen. Kenneth J. Glueck Jr., the commanding general of the Marine Corps Combat Development Command; and Vice Adm. Joseph P. Mulloy, the deputy chief of naval operations for integration of capabilities and resources, testified before the House Armed Services subcommittee on sea power and projection forces on the budget request. The department’s fiscal 2016 budget proposal represents the bare minimum to execute the defense strategy guidance. It still, however, “results in high risk in two of the most challenging missions that depend on adequate numbers of modern, responsive forces,” the joint statement said. The Navy made difficult, strategy-based choices and shifted funds to higher priority missions, but that is not sustainable, officials said in the statement. You know how we keep hearing politicians say they support the troops and value the military? Like they say, talk is cheap and these guys think our defense forces should be too or they would have fixed the budget by now. They aren't even talking about it so as with the picture of lightning off the USS Carl Vinson, Congress struck again. "Ashamed," said Kenneth Fregia, one of the officers who stopped to help. "There's probably thousands of them in the city just like that, you know. It's a shame." HOUSTON - A blind and homeless Marine Corps veteran evicted from a shelter that failed to pay its rent spent Tuesday night inside a dark and cold building in the Third Ward, sharing sleeping quarters with his caretaker. Enrique Avala moved into the building along with Tom Jones, who ran the non-profit shelter that closed earlier in the day and hoped to open a new shelter in the new location. But his fate remained uncertain, as the new building's owner complained that Jones moved in without a signed lease and gave utility workers the wrong address to turn on the electricity. Avala's story, aired on KHOU 11 News Tuesday evening, triggered a flood of phone calls and emails from viewers offering to help. Most of them offered money, a couple offered him a place to stay and one even offered to pay for a few nights in a hotel room. KHOU passed all of the offers along to Jones, who acts as Avala's caretaker. 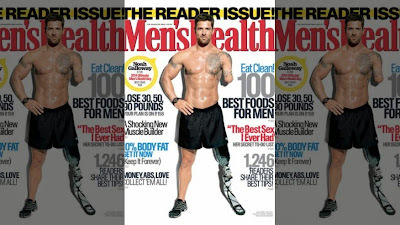 LOS ANGELES – Motivational speaker Noah Galloway is set to become one of the most inspiring "Dancing with the Stars" competitors ever. But it hasn’t been easy as the army veteran who lost two limbs while fighting in Operation Iraqi Freedom in 2005 hit rock bottom before pulling himself out of a major depression. “In my second tour of duty in Iraq, I was injured and lost my left arm and left leg” during an improvised explosive device attack, former infantry sergeant Galloway told FOX411 at Tuesday’s DWTS season 20 cast event. “When I woke up in the hospital, it was a struggle. But Galloway said thoughts of his three children pulled him out of the funk and he vowed to get back in shape. For Reyes, however, the thought of returning to patrol made his heart race. He told Army doctors that he couldn't stop thinking about suicide. They sent him back to Ft. Carson, in Colorado. If somebody had to die, he felt it should have been him. and Reyes in Iraq before the June 29, 2007 ambush. 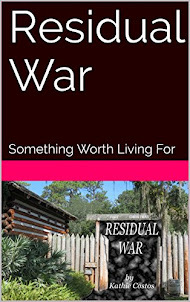 It had been years since Sloan Sulham had heard from any of his men in Iraq. But the soft voice and Philippine accent on the phone were immediately recognizable: Spc. Reyes. "Arvin," Reyes reminded his former platoon sergeant. Sulham wasn't likely to forget Arvin Reyes. They had been together on a day that changed both their lives. In the early afternoon of June 28, 2007, they were riding in the same Humvee when insurgents in southern Baghdad ambushed their convoy. Five soldiers under Sulham's command were killed. 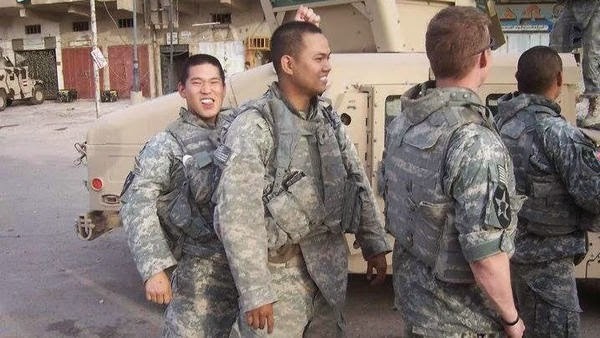 Now, nearly seven years later, Reyes had tracked Sulham down in Florida to make a confession: One of the soldiers, his friend Spc. Shin Woo Kim, hadn't died at the hands of the enemy. Reyes said he had to tell the truth. He had accidentally shot Kim. Sulham was astounded. He knew more than anyone else alive that Reyes was innocent. 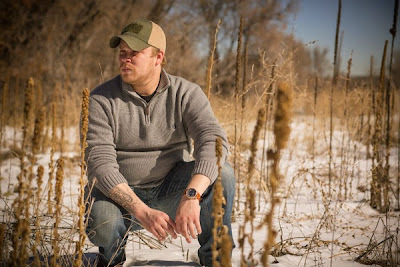 PTSD Veteran I was way beyond trying to fix myself"
A year after being diagnosed with PTSD, Iraq War veteran Lance Thomas came close to taking his own life. But before Thomas could end it all, he was rushed to the Alexandria Veterans Affairs Hospital for evaluation and help with PTSD. "I was way beyond trying to fix myself, or just calling someone and talking on the phone," Thomas said. "I was past that point." 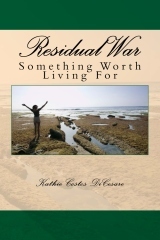 Thomas said suicidal thoughts were an escape from reality after he couldn't deal with the daily stresses of life. "I couldn't be that father or that dad that everyone expected me to be," Thomas said. Thomas is now taking medications and undergoing counseling several times a month at the Lafayette VA clinic. As part of his recovery process, Thomas started sharing his personal battle with PTSD with fellow men and women in uniform when he returned to drill this year. Court Martial and Soldiers Found Him Guilty, Others Want Him Free? The events of that day continue to haunt many members of the platoon. Some, stalked by anger and regret, say they have trouble sleeping. One cried while talking about how the episode tore apart the platoon. One recently checked into a clinic for post-traumatic stress disorder, saying the calls to free Mr. Lorance had revived disturbing memories. Clint Lorance, an Army platoon leader who was found guilty of second-degree murder in connection with the shooting deaths of two Afghan civilians in 2012, in a photograph provided by his mother, Anna Lorance. Nearly two dozen soldiers from an Army platoon were on patrol in a dangerous valley in southern Afghanistan when a motorcycle sped toward them, ignoring commands to stop. As he tells it, First Lt. Clint Lorance, the platoon leader, ordered his men to fire just seconds before the motorcycle bore down on them that July day in 2012. But the Afghans were unarmed, and two died. 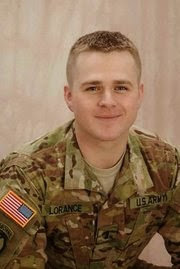 The next year, Lieutenant Lorance was found guilty at a court-martial of second-degree murder, one of the few times an American soldier has been convicted of a crime for actions in combat in Iraq or Afghanistan. He is serving a 19-year sentence at Fort Leavenworth, Kan. But the case is far from over. Mr. Lorance, who was dismissed from the Army, has become a cause célèbre for conservative commentators, including Sean Hannity of Fox News, who say the Obama administration punished a soldier for trying to defend his troops. Three Republican House members — Duncan Hunter of California, Matt Salmon of Arizona and Ryan Zinke of Montana — have asked the secretary of the Army to review the case. And more than 124,000 people have signed a petition to the White House demanding a pardon.